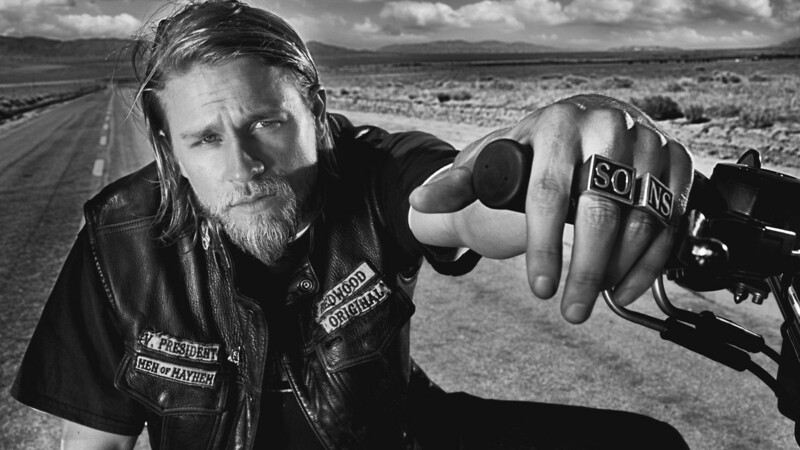 Charlie Hunnam as “Jax” Teller, President of SAMCRO. In the last few years Sons of Anarchy has proved to be one of the most successful American TV series. Its seventh and final season will be airing in September in the U.S. Now might then be the best time ever to be a fan of outlaw motorcycle clubs on the screen. Not long ago bikers were instead considered part of a sub-culture whose members were quirky, potentially dangerous mavericks living outside the law, following their own rules and involved in deadly situations (remember the Hell’s Angels at Altamont?). Cinema has helped popularise the fascination for rebels on wheels mixing stardom and fashion. There is no doubt that Marlon Brando wearing the hat and leather jacket of Johnny Strabler and leading the Black Rebels Motorcycle Club through the dozy streets of California is a truly iconic moment in the history of moving images. 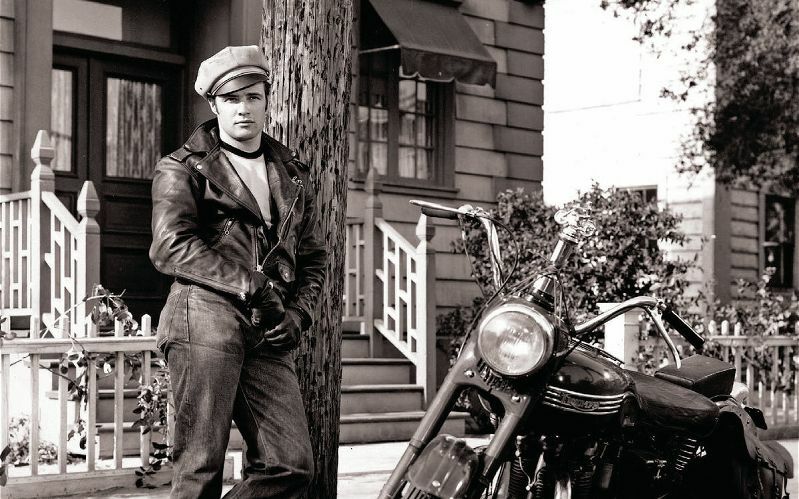 Marlon Brando in “The Wild One”, directed by László Benedek in 1953. As was “Captain America” (Peter Fonda) and Wyatt (Dennis Hopper)’s quest for an idea of freedom in America they weren’t going to find, hitting the road to the notes of Steppenwolf’s Born to Be Wild. What happened between The Wild One and Dennis Hopper’s 1969 directorial debut was that bikers drifted into society and (pop) culture. And we have to thank photojournalism for that. 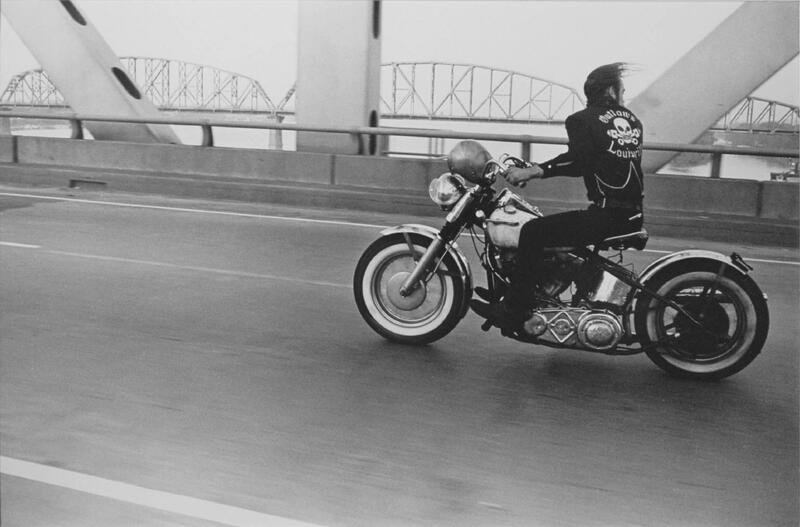 Bikers were indeed quite hard to frame until the day Danny Lyon devoted himself to the art of photography and chose them as the topic of what was going to become the first reportage inside a motorcycle gang, shot over 4 years. 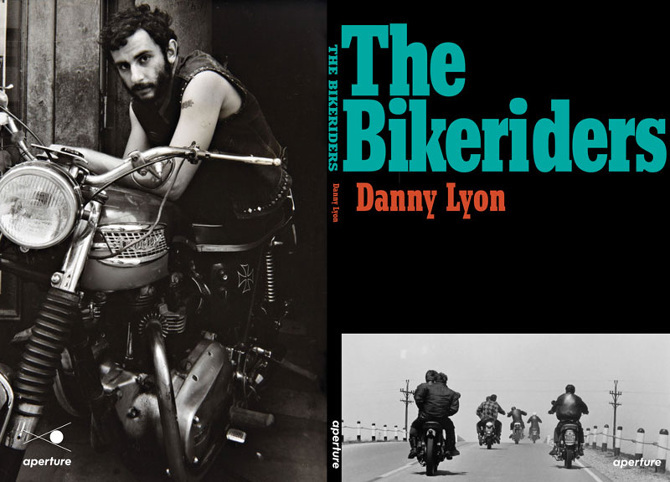 Danny Lyon on the back cover of the re-issue of “The Bikeriders”. The outcome of that unique experience was The Bikeriders, a seminal work on the Chicago Outlaw Motorcycle Club, whose life Lyon shared between 1963 and 1967. He became a member of the club and as such had access to both public events, such as races and meetings, as well as to more private moments. Danny Lyon, “Crossing the Ohio, Louisville”. Nearly half a century after the original exhibition, ATLAS Gallery is presenting a show tied in with the re-issue of The Bikeriders, originally presented in 1968 and now published by Aperture. I had an intimate tour with the curators thanks to one of Love Art London’s final events. 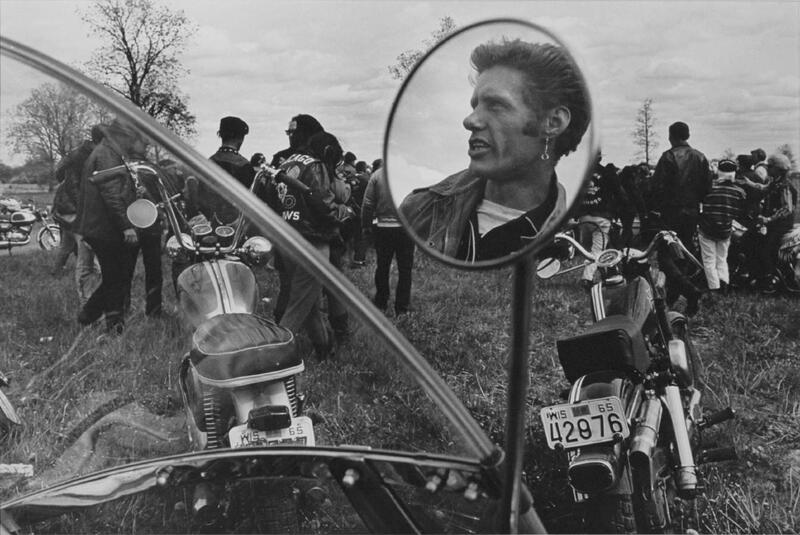 Danny Lyon, “Cal, Elkhorn, Wisconsin”. The Bikeriders is among the finest examples of Lyon’s work. Its main feature lies in the fact that the American documentary photographer, who later went on to work for Magnum, was basically sharing his own experience as a member of the Club. That’s why the intimacy we see in the photos is so palpable. 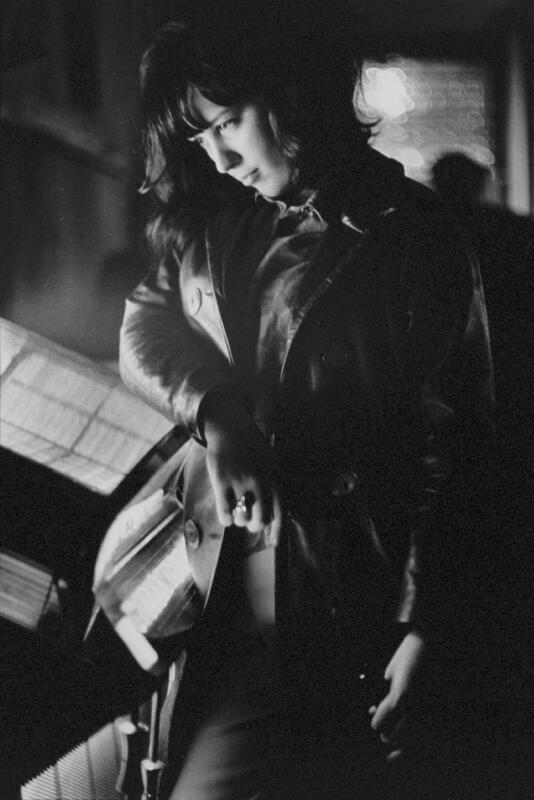 Danny Lyon, “Big Barbara, Chicago”. As Ben Burdett, Director of Atlas Gallery, explained during our tour, “Danny is not behind the camera. He is between the camera and the subject of the photo. He is present.” I would also say that he’s even in the pictures, as it’s easy to spot his reflection in several chrome details of the bikes. He is a living example of the New Journalism he helped to create. The Bikeriders is on display at ATLAS Gallery until 16 August. Catalogue available at the Gallery’s shop.